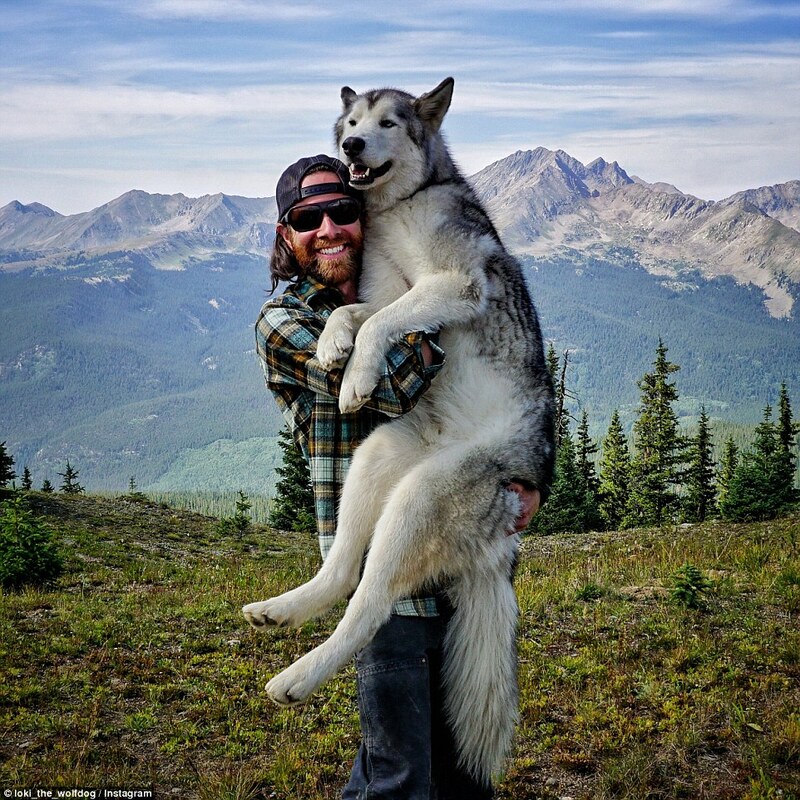 One man and his Wolfdog are taking a walk in the park to a whole new level. 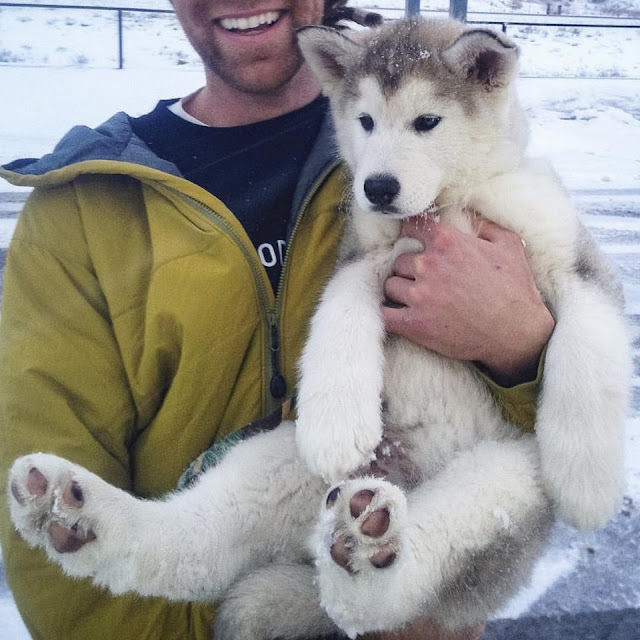 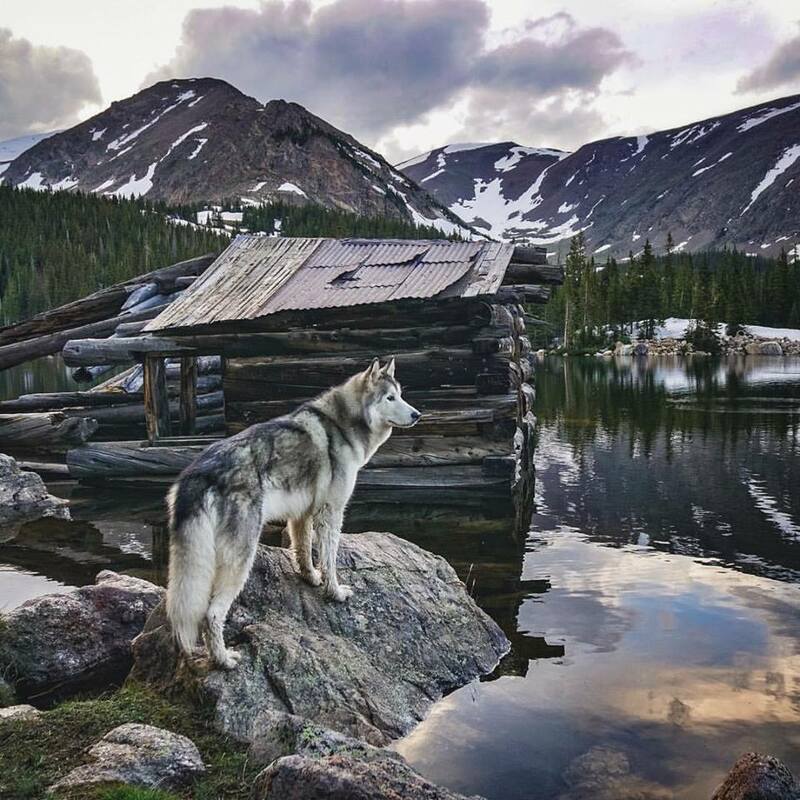 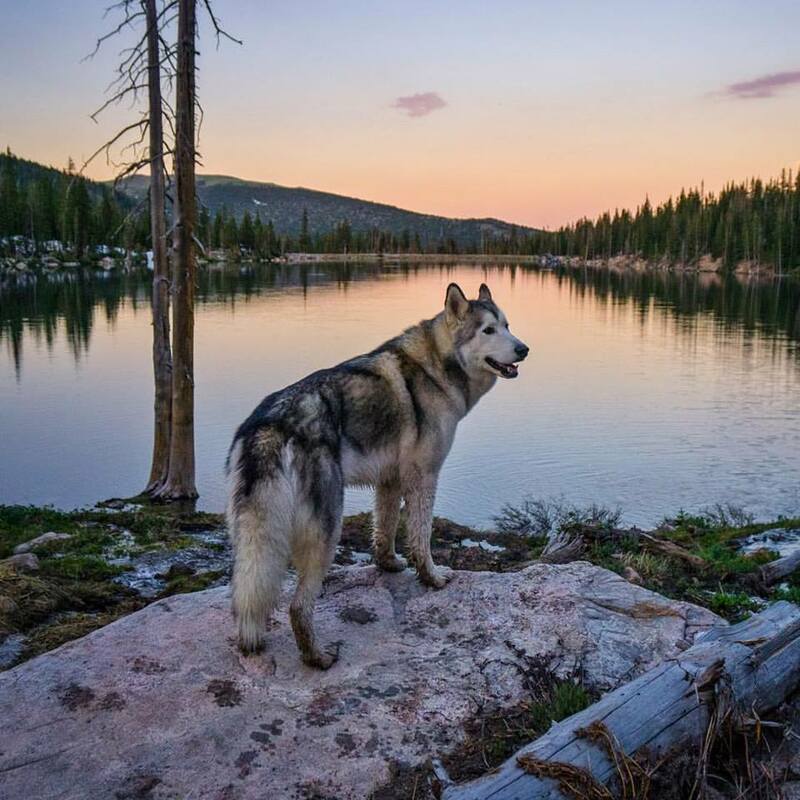 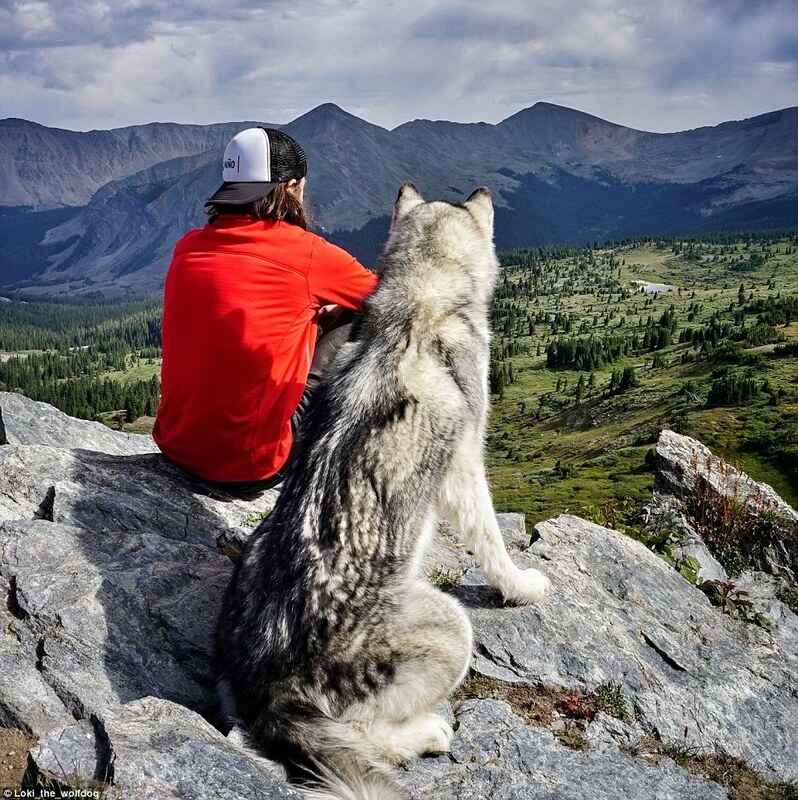 Two-year old Loki, a hybrid of a Siberian husky, Malamute and Arctic Wolf, and his owner Kelly Lund from Colorado, love nothing more than sharing incredible outdoor adventures together. 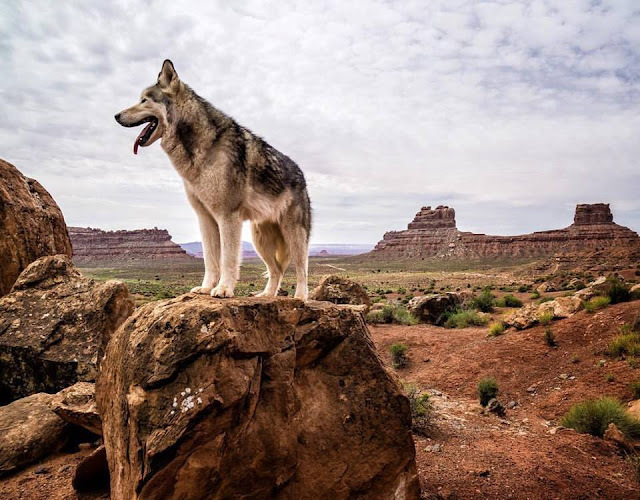 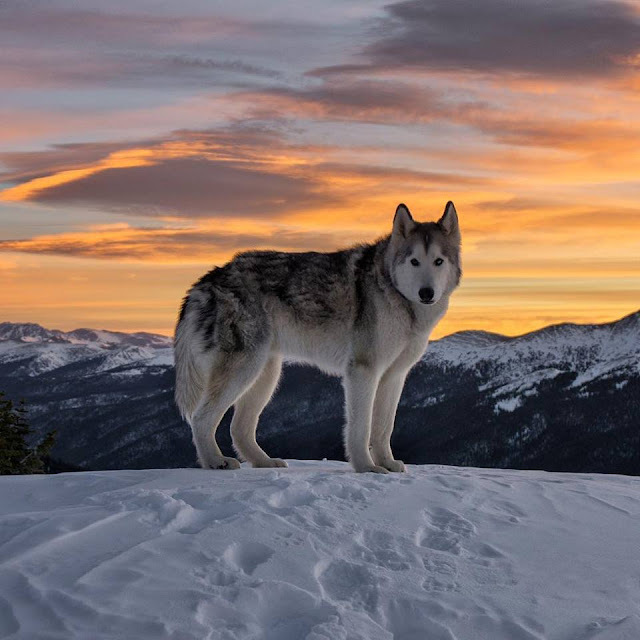 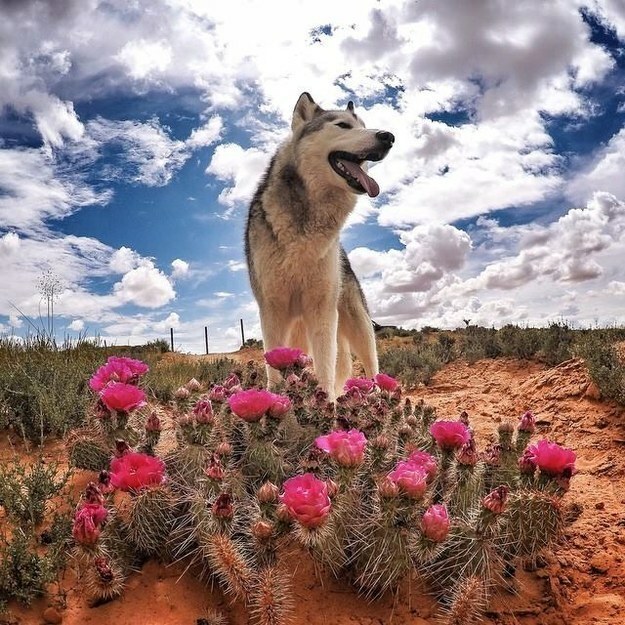 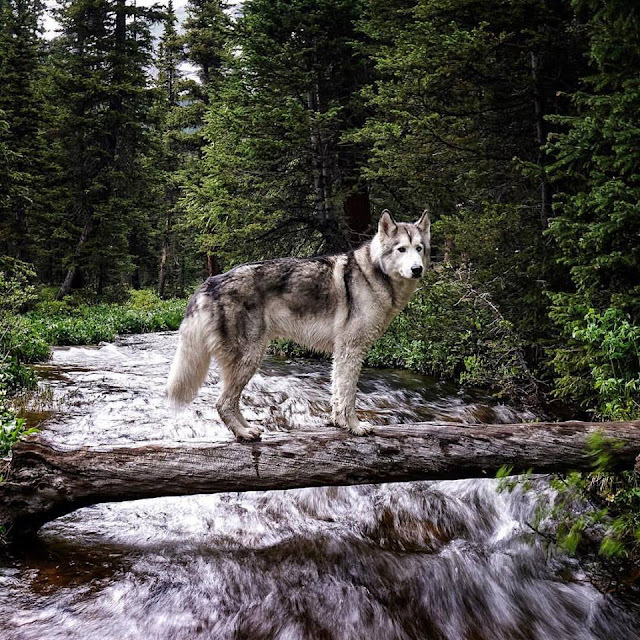 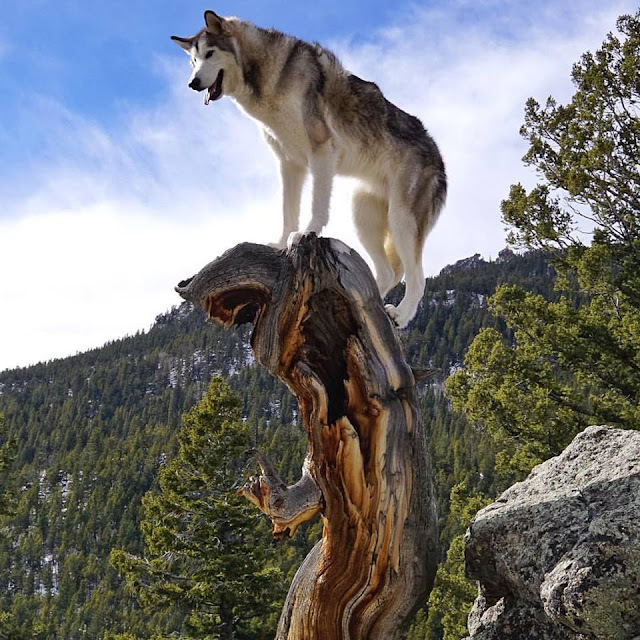 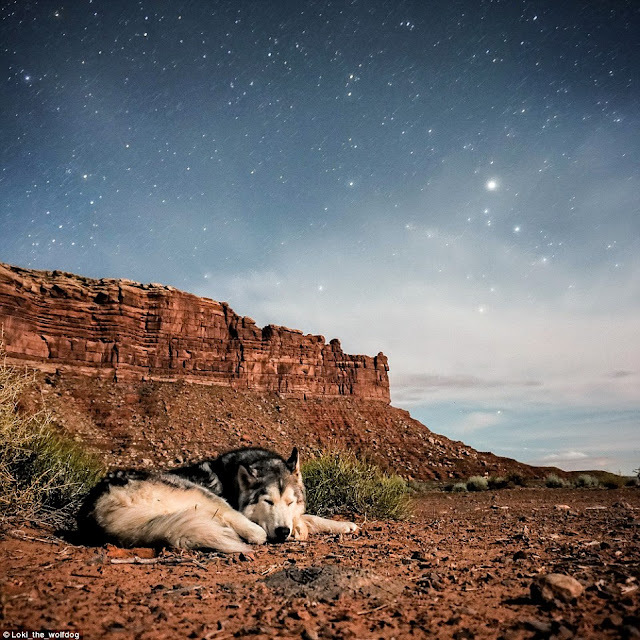 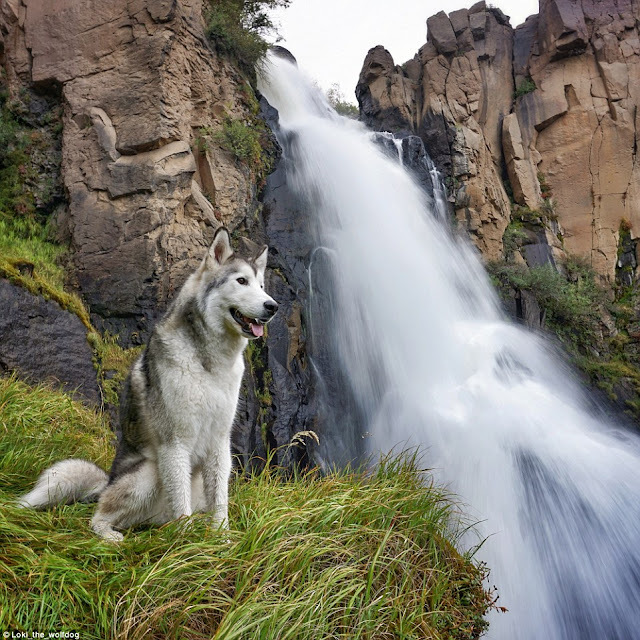 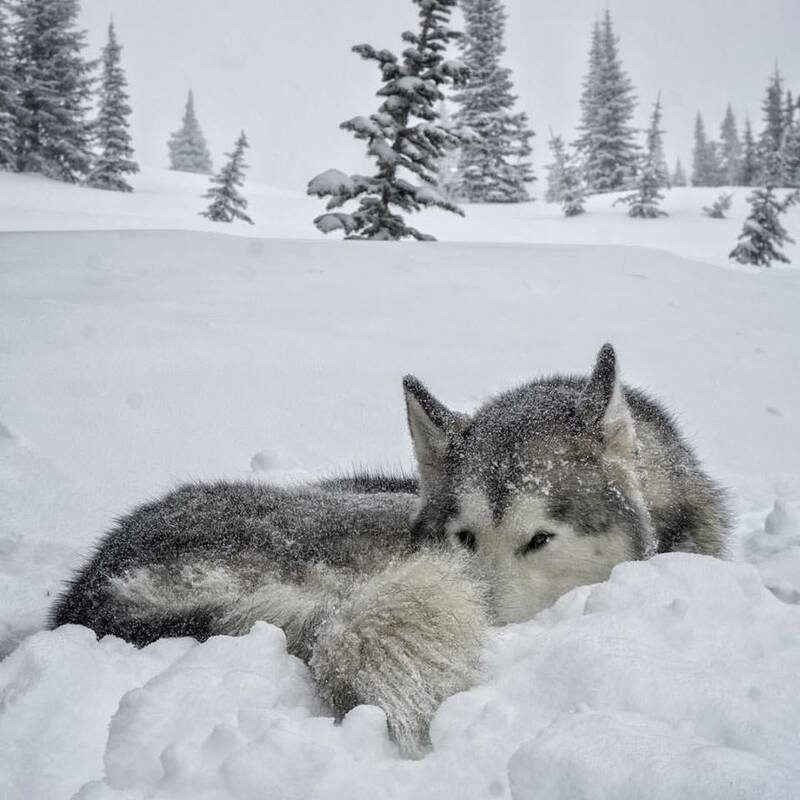 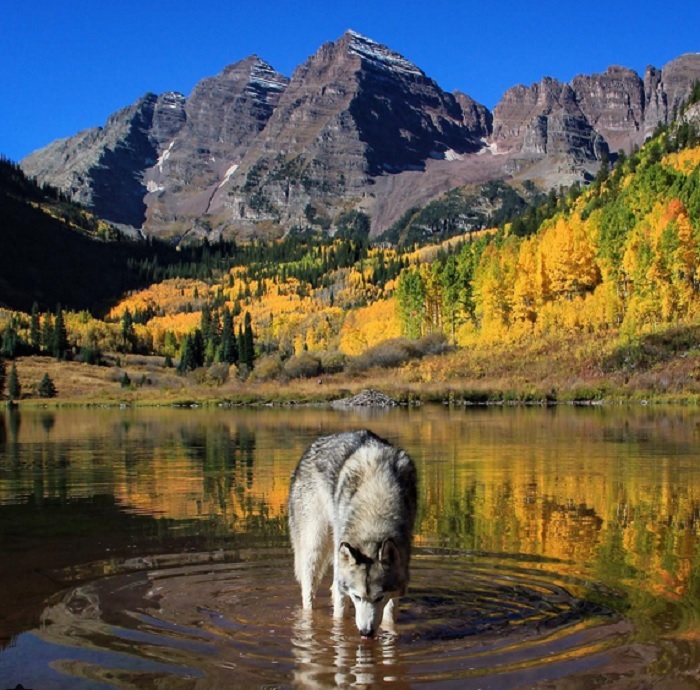 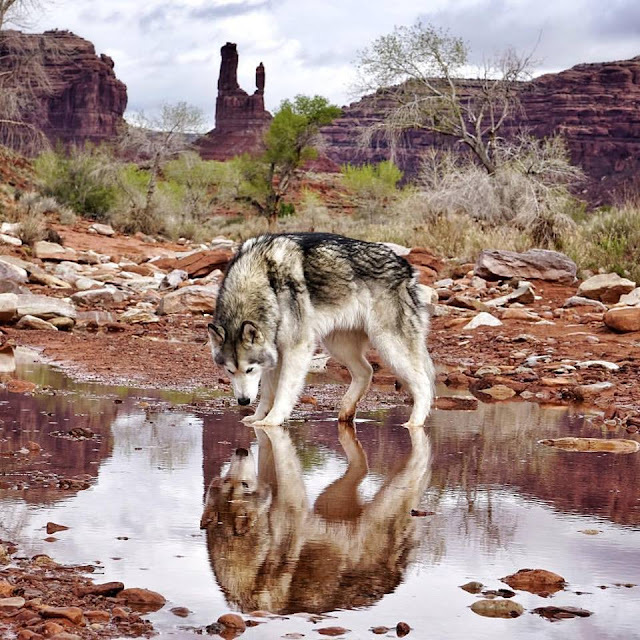 Determined to give his faithful pet the exercise and outdoor lifestyle the Wolfdog requires, Lund is passionate about letting Loki roam free in some of the most dramatic natural locations around and has captured these incredible moments on film. 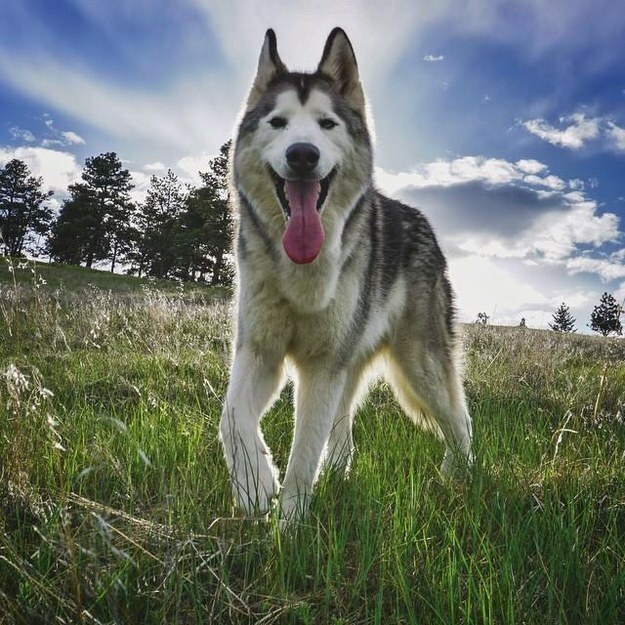 Loki was adopted by Outdoor Recreational Co-ordinator. 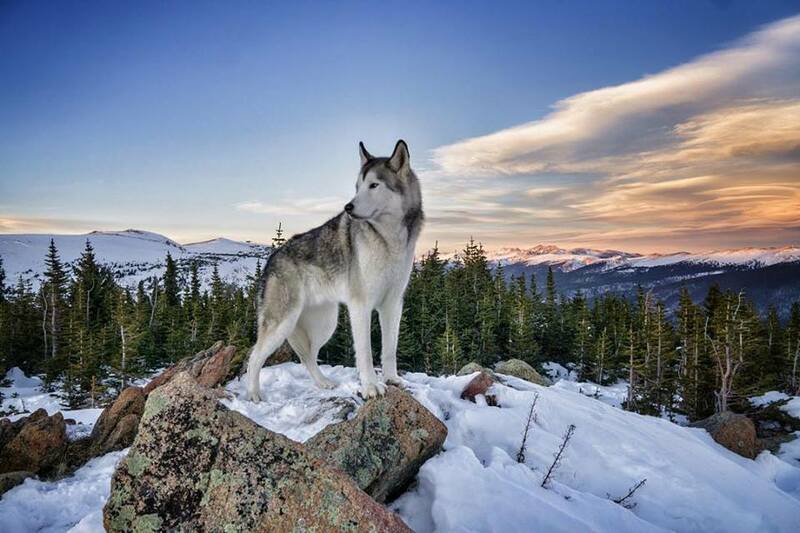 Aware of the dogs unique breed, Loki did not want to confine the part-wolf to a house, or back garden. 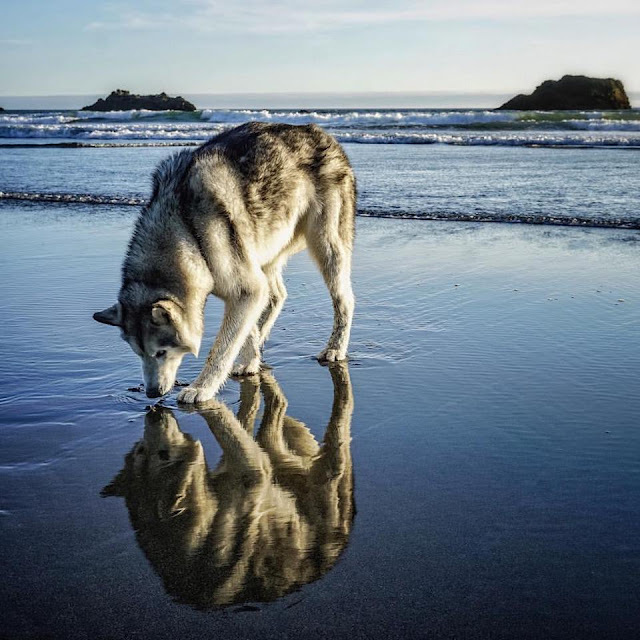 'Many Wolfdogs end up going to shelters or are put down because owners do not know what they are getting into,' Lund told 'They require an extreme amount of socialisation and exercise which most people do not have time for. 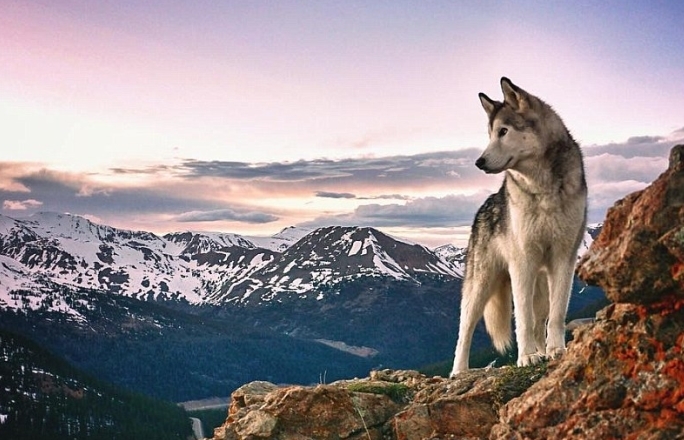 Responses to "Meet The Wolfdog Who Travels The World With His Owner"
Such a perfect company, awesome story, majestic moments.